The ten most recent articles can be found below in their entirety. Navigating the sections in the right navigation (under Categories) will bring up all the other posts, and you can also use the search box at the top of the page to find what you might be looking for. Top is a useful command line tool for showing processes running on Linux (and other operating systems) such as how much CPU and memory they've been using and how long they've been running, and also showing the system load, CPU and memory usage as a whole. But what if you only one to show output for one process or command? Another alternative to combining top with pidof is to use pgrep. This can be useful if you need to match e.g. a PHP script which is running from the command line and which you could only match 'php' when running pidof and might return something different from what you want. Again this will cause an error if it returns more than one pid. The output from pgrep will be have each pid on a new line, so we need to use tr to replace the newlines with commas and then sed to remove the final comma. If anyone has a tidier way of doing this, then please let me know in the comments. And because pgrep does regular expression pattern matching, you can do all sorts of things with it, but note that there's a limit of 20 pids. Oops, you can't pass any more than 20 pids to top. I need a quick reference link to a comprehensive answer myself, hence this quick post. Several useful answers and examples covering a variety of situations is here at Stack Overflow. Sendy is a self-hosted email marketing tool; while hooking up a subscription form, I needed to work out what all the possible responses are to a user subscribing, depending on their current status in the Sendy database. The version documented here is 2.0.7. The previous version had a bug in it which prevented the 'Already subscribed.' status from being returned as plain text and it would always return a full HTML page. If you are using an older version, you should upgrade. The following example calls the subscribe API function. Replace /path/to/sendy with the full domain and path to your Sendy install, and obviously the other fields too. The 'boolean' value in the data array is set to a text value of 'true' to return the response as plain text. Note, you can also get other error messages such as 'Some fields are missing.' but these reponses assume all fields are completed and the email address is valid. Here's the official bog notice from Adobe about it: "Save for Web in Photoshop CC 2015". It notes that "Save for Web will not be removed without replacing its capabilities in a new and improved workflow." I'm not much of a menu user, and use the somewhat awkward Cmd+Option+Shift+C keyboard shortcut so had never even noticed the change. My wife, on the other hand, uses menus and not keyboard shortcuts, and that extra step through the menu makes the current workflow much more awkward. The first solution to speed things up is to use the shortcut keys. Cmd+Option+Shift+C is the default, but you can always change the shortcuts under Edit -> Keyboard Shortcuts. My own personal preference is to try to avoid changing shortcut keys so that I get used to them in case I need to use someone else's computer for something. Yep, save yourself navigating through the menus / using an awkward keyboard shortcut by installing an add on... mind you, once you have the panel activated you now have one-click saving. Go to the Photoshop Export Helper page to install it. 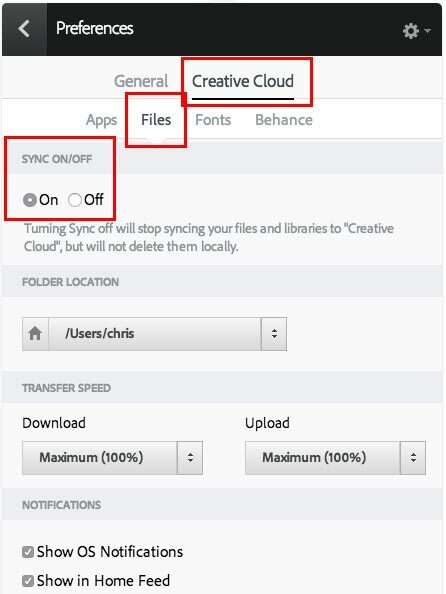 You need to have Creative Cloud file sync on, and it will automatically download it. Restart Photoshop and it will be under Window -> Extensions. When you click it, the panel will appear, but you'll probably need to drag it onto another group of panels otherwise I found it tended to disappear or be hidden or something. To make sure Creative Cloud's file sync is on, go to Creative Cloud, click the cog, select "Preferences", then "Creative Cloud" then "Files" and the sync function is there. The screenshots below illustrate how to get there on a Mac; sorry, I can't help with Windows. You've checked to see what's sitting in the exim mail queue, but want to check the email's header and/or body before deleting it from the queue. Use the -Mvh & -Mvb flags to view these. Use "exim -bp" or "mailq" to see what's in the queue to get the message id; you'll need it when you want to view the header or body. I honestly have no idea if RamNode are any good or not (my own websites are hosted at BlueHost - They're great! ), but for what I need this is perfect: it's more or less throw away money, and I get a server with a static IP address I can switch on, test some stuff and switch back off again as and when needed. I used to have a virtual server from 1and1 which was great but a bit more expensive ($5 per month). I'm testing out the free Let's Encrypt secure certificates. These are domain validated certificates: validation is done by a certificate management agent on the web server, which receives requests from the LE servers to prove you manage the domain. I'll talk more about this in a future post, but suffice to say for the moment that I didn't want to run this on a production server (yet). Their cheapest one has 128MB of RAM, 12GB of storage and 500GB of bandwidth, running OpenVZ - for $15 for a year. You can get a 10% discount using the SSD10 coupon code. You can order it here and/or check out the other plans. Virtual server from RamNode has been good. No complaints. It's not as good as the one you can get from 1and1 so if you can spend $5 per month I would recommend 1and1. If you don't want to spend that much, RamNode is a good choice. I am not affiliated with RamNode in any way, and the above link is not an affiliate link. I found out about them from the comments in this article at Ars Technica. If you just want to install the runtime so you can run Java applications, install either openjdk-7-jre or openjdk-7-jre-headless. The first one will install a bunch of Gnome stuff if not already installed, so if you are doing this on a server without a GUI then install openjdk-7-jre-headless. This is correct for (at least) Debian 7 & 8, possibly older versions, probably future versions, and possibly other Debian based distributions.